Vintage oversized safety pins. 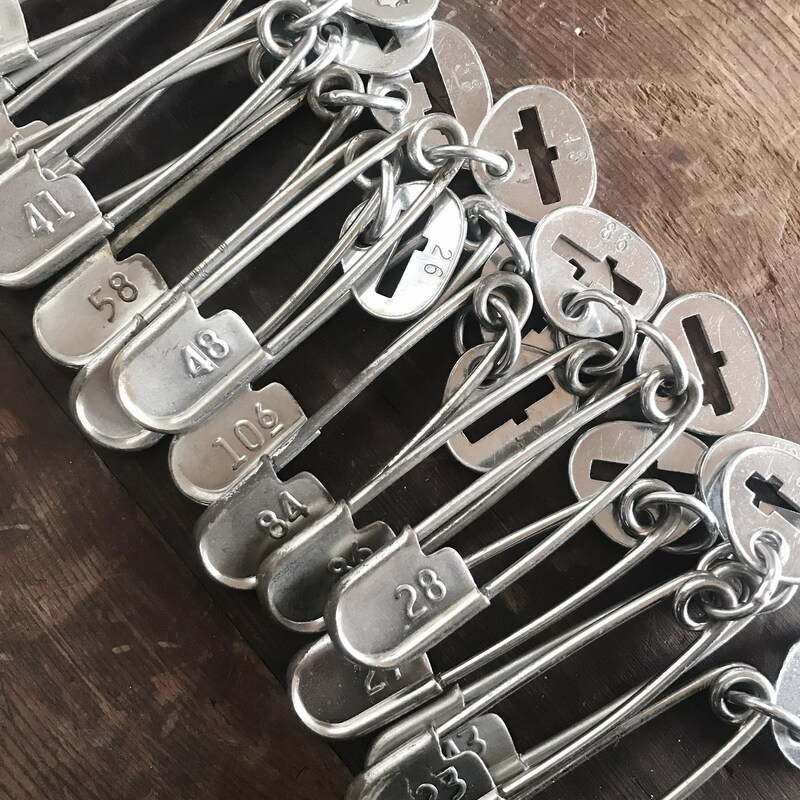 Once used as laundry pins to help ID clothing in the military, they are perfectly repurposed into scarf pins or keychains. Made by Key-Tag. Choose your desired number from the drop-down menu. Patina/condition vary from pin to pin, but overall, they are in very good condition.